Computer science researchers Deepak Ganesan and Tauhidur Rahman at the University of Massachusetts Amherst, as part of a multi-institution team, have received a three-year grant from the National Science Foundation (NSF) to explore how work performance may be affected by shift work and disrupted circadian rhythm, the 24-hour internal body clock that cycles between sleepiness and alertness. Among other outcomes, cognitive performance, lost productivity and an increased incidence of accidents at work have been associated with shift work and disrupted sleep/wake patterns. This research is part of NSF's "Future of Work at the Human-Technology Frontier" program. 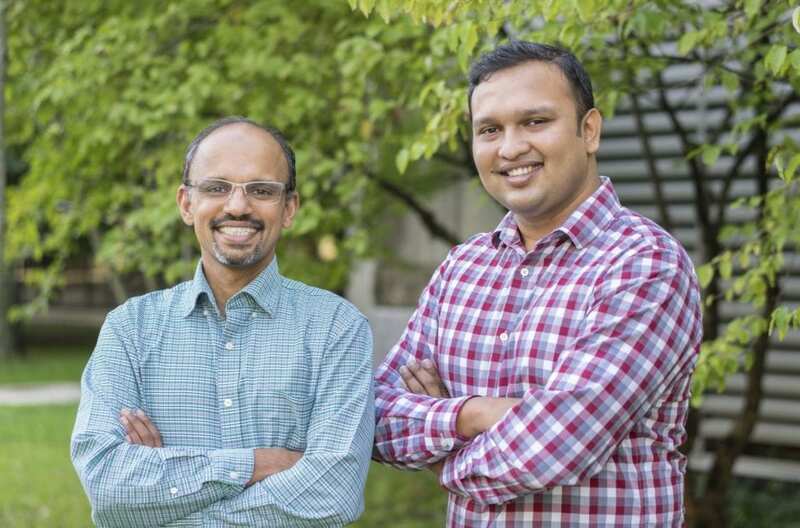 Ganesan and Rahman of UMass Amherst's College of Computer and Information Sciences expect to receive about $630,000 for the study, which they'll conduct with colleagues at Rice and Cornell. Approximately 20 percent of the labor force engages in shift work, which often leads to inadequate and poor sleep, the researchers say, and may lead to other complications including a higher likelihood for cardiovascular disease, cancer, obesity and mental health problems. They plan to design and develop a suite of on- and off-body sensing technologies that can infer the cognitive and biological state of shift workers. As Ganesan points out, there has been considerable research on understanding the effect of circadian rhythms, but scientists lack sensing technologies that can continuously monitor these rhythms in natural settings. He and Rahman plan to use specialized facilities at UMass Amherst's Institute for Applied Life Sciences' Center for Personalized Health Monitoring to develop the sensors and carry out studies that will bridge this gap and produce valuable insight into how such disruptions affect people in real-world settings. They will build on earlier work in which "smart" eyeglasses detect fatigue and pain and contactless radar sensors monitor sleep rhythms. Using such sensors, they plan to analyze characteristics such as alertness, fatigue, stress and sleep that are subject to circadian misalignment due to irregular sleeping schedule, multiple jobs or economic and social burdens. The team intends to provide personalized feedback to enhance users' cognitive ability and well-being. As Ganesan explains, "The ability to continuously measure an individual's circadian rhythm is an important ingredient of personalized medicine. There has been much work on just-in-time health interventions with mobile devices in recent years and I suspect that the efficacy of such interventions can improve greatly if we also account for an individual's rhythm." Rahman adds, "This is an exciting research space and our hope is that we can collaborate with experts in sleep, circadian biology and psychiatry to develop mobile sensing solutions for measuring circadian rhythm disruptions and designing interventions that leverage such information. I am particularly excited about the prospect of new off-body contactless sensing that we are developing for sensing sleep and sleepiness."